The Treasury Department and Internal Revenue Service issued final regulations Jan. 17 confirming the ASA position that staffing companies can take advantage of the new tax deduction for “passthrough” businesses provided for in the Tax Cuts and Jobs Act of 2017. The new passthrough tax rule could benefit staffing companies by providing substantial tax savings. 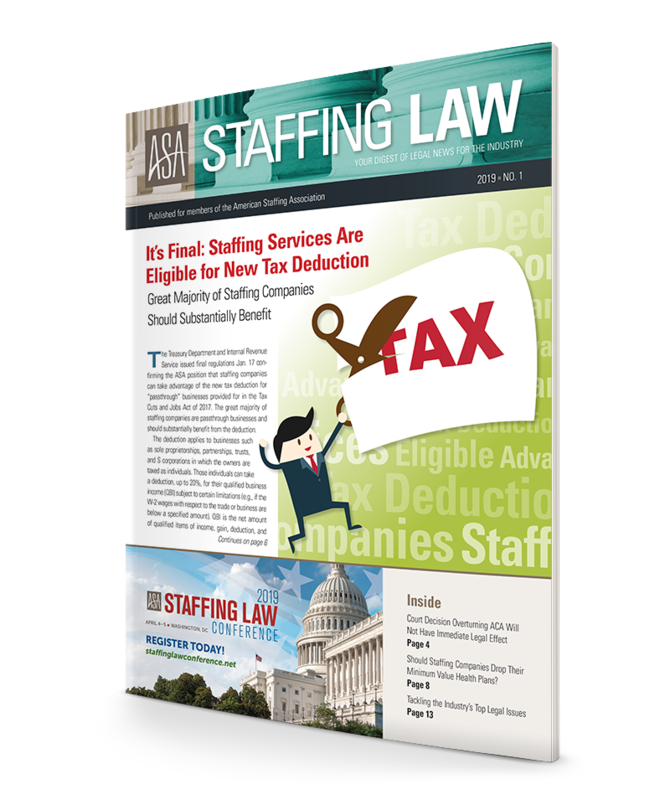 In the article, “It’s Final: Staffing Services Are Eligible for New Tax Deduction,” ASA senior counsel Ed Lenz, Esq., discusses the new tax rule and provides insight on who can take advantage of this deduction.